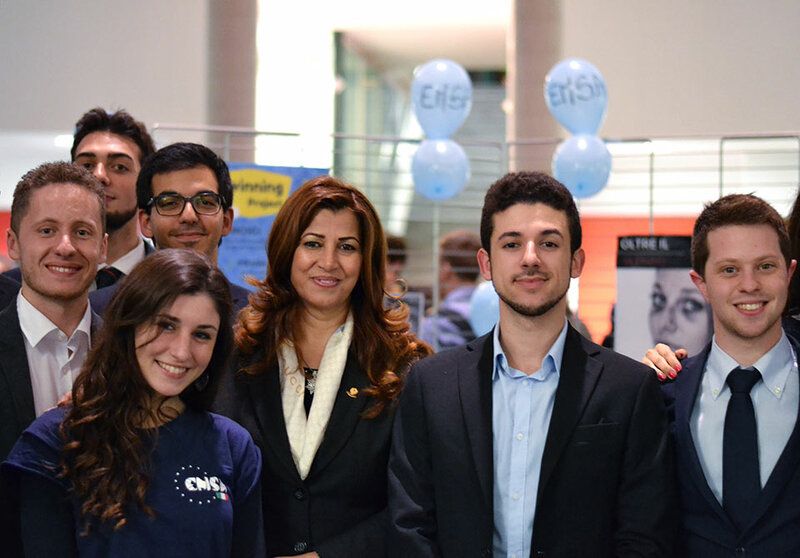 On the occasion of the International Day for the Elimination of Violence against Women, EMSA Turin has decided to organize, at the San Luigi University in Orbassano, the first conference of EfferveScience cycle, a project to sensitize medical students and citizens concerning medical and social issues. Within this frame has intervened the High Representative of the Kurdistan Regional Government in Italy and to the Holy See, Rezan Kader. Also present at the event, Mrs. Sarah Gino, Medical Examiner, Forensic Geneticist and Professor of the University of Turin, Mrs. Catherine Bossa, Psychologist Psychotherapist Expert in Trauma and Dissociation and Mrs. Maria Grazia Corrado, Director of the Anti-crime police Division of Turin. Mrs. Kader highlighted how women in the Kurdistan Region, has always been an added value for the whole Kurdish Society, both from an economic, political and also military point of view. The violence that ISIS is still perpetrating against Muslim women, but also young Kurdish and Yazidi women is a warning to everyone to invest more resources and reaffirm the commitment to the defense of women's rights . Struggle this type of violence is the essential task of each Society who proposes the full protection of the fundamental rights of the person. School and other growth activities must be in the forefront against all forms of violence, prejudice and discrimination.